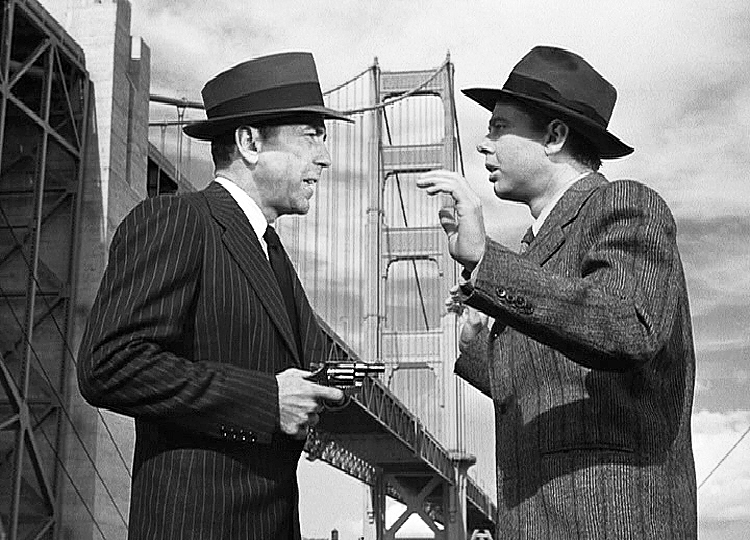 Inspired by the the long nights of winter and the current Bay Area-themed Contenda exhibition at ASC Projects, this month’s movies feature the dark side of San Francisco! Directed by Delmer Daves and starring Humphrey Bogart and Lauren Bacall. A man falsely accused of his wife’s murder escapes from San Quentin and works with a woman to try and prove his innocence. Directed and produced by Alfred Hitchcock and starring James Stewart and Kim Novak. A retired San Francisco detective suffering from acrophobia investigates the strange activities of an old friend’s wife, all the while becoming dangerously obsessed with her. Starring Mike Myers and Nancy Travis. A poet is afraid of commitment until he meets Harriet, who works at a butcher shop and may be a serial killer.